Looking for private in-home or in-studio Banjo lessons? Our Etowah teachers are ready to get you started. Find your teacher today! Check out some of our most popular teachers near Etowah, NC including Asheville, Greenville, Arden, Simpsonville and Weaverville. 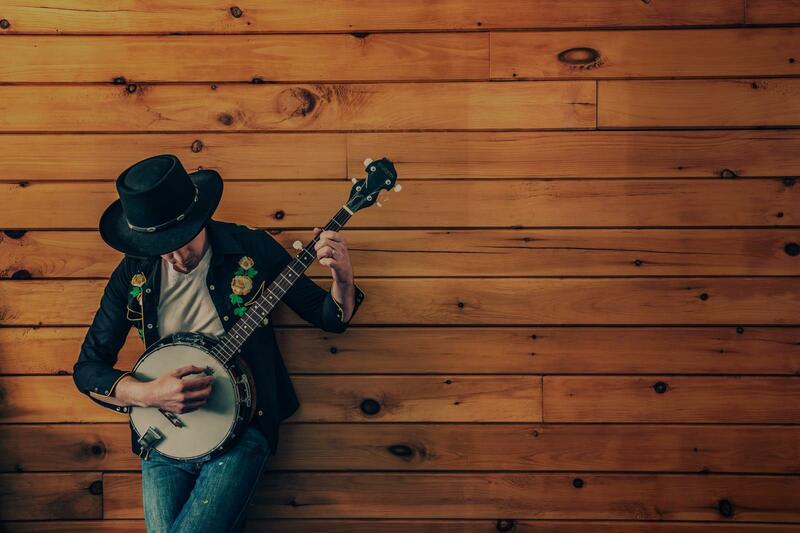 Learn basics about rhythm, harmony, and melody, and how they apply to the banjo. I can teach 5 string banjo basics to beginners. Emphasis on music fundamentals, popular banjo standards, and improvisation. experienced players. Ben also offers Lap Steel, Pedal Steel, and Banjo lessons for beginners. Ben was really chill, and even though I had no experience at all, he was patient. His style is super easy to follow, and he encouraged me to really enjoy it. I have been playing banjo for about four years now as a supplement to my guitar playing. It has a been a real joy learning the different styles and techniques. I teach a 3 finger style of Banjo playing and how to read, hear, and play music. I teach you how to play the chords, read the tablature and play by ear. Lisa Abrams has a Vocal Music Education Degree from Capital University, Columbus, Ohio. She graduated in 1997 and has been teaching professionally, both in schools and privately, since that time. She has taught General Music grades K-8 in the Parochial School System. She has been the Music Director and Worship Leader for several Churches where she has directed Adult Choir, Praise Team, Bell Choir, Chime Tone Choir, Orchestra and Children's Choir. She has accompanied all these ensembles on Piano, Guitar, and Organ. ian. She wants you to be able to pursue any avenue of Music that appeals to you, professionally or personally. Lisa is a multi-talented musician. She has been gifted with voice as well as the understanding and ability to play music. It was an honor to be in the Mt. pleasant choir and be led by her. She shows compassion and patience and her love for music is contagious. She is a blessing to everyone she teaches . Nick is a Banjoist and Composer based In New York, NY. Nick has several years of experience playing along numerous venues in NYC with the likes of Robert Brashear and The Home Away Band, Greg Cornell and The Cornell Brothers, Luba Dvorak, Craig Donovan and As a solo artist. Along with bluegrass and folk, Nick has an admiration for Kraut-rock, Jazz, Punk, Indian Classical, and Experimental music, so he can help facilitate any players musical goals/interest, no matter how niche. Nick also went to The New School For Jazz and Contemporary Music, where he gained a grounding in music theory and jazz improvisation. Holzman; Jazz Guitarists Ed Maceachen and Richard Boukas and have taken lessons with banjoists Ryan Cavanaugh and Bennett Sullivan of Steve Martin’s musical “Bright Star”. I also have several years of experience playing along several venues across NY with the likes of Robert Brashear and The Home Away Band, Luba Dvorak, Craig Donovan, Greg Cornell and the Cornell Brothers and as a solo artist. Can't find a teacher in Etowah, NC?